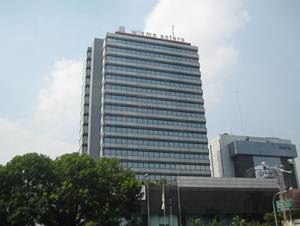 According to Perum LKBN Antara Annual Report 2016 as cited by JobsCDC.com, Perum LKBN Antara registered total revenue of Rp 283.68 billion in 2016. This number is up 1.70% from Rp 278.92 billion in 2015. Total net income in 2016 amounted to Rp 9.16 billion or down 30.52% from Rp 13.19 billion in the previous year. Total asset went up 17.12 % from Rp 146.81 billion in 2015 to Rp 171.95 billion in 2016. The candidates with prior experience for minimum 3 years in the field of sales of financial products and services. Able to work under pressure and well behaved. Able to speak English (active). Able to operate Ms. Word, Ms. Excel, and Ms. Power point. Advanced knowledge in the field of financial markets and investment. Able to achieve the target set by the company. JobsCDC.com now available on android device. Download now on Google Play here. Please be aware of recruitment fraud. The entire stage of this selection process is free of charge. Perum LKBN Antara - Recruitment AE KSO ARtechs ANTARA April 2018 will never ask for fees or upfront payments for any purposes during the recruitment process such as transportation and accommodation.